Production Update 190: Ebook is Available! Cosmic Rage is now live in the iBooks Store! It’s been quite the adventure. When I started Cosmic Rage my life was so much more different than it is now. I was still pretty green in my animation career and living in Minneapolis at the time. Things have changed so much and it is crazy to think of how far everything has come since the project started off. So where do things go from here is the next big question. I will have some more on this coming in the very near future, specifically after my final convention of the season, Nebraskon. In two weeks I will have the last screening of Cosmic Rage on the convention circuit for 2016. Don’t forget to check out Cosmic Rage in the iBooks store and share with your friends! 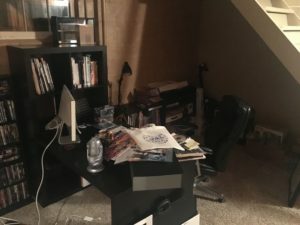 Production Update 189: E-book Complete! My final editing revisions came in and have been made. This week I need to get the e-book submitted to the e-book store and that will put the finishing touches on the first episode of Cosmic Rage, allowing me to get back into the swing of fleshing out the second episode. This week my to-do’s are getting the e-book into the store. 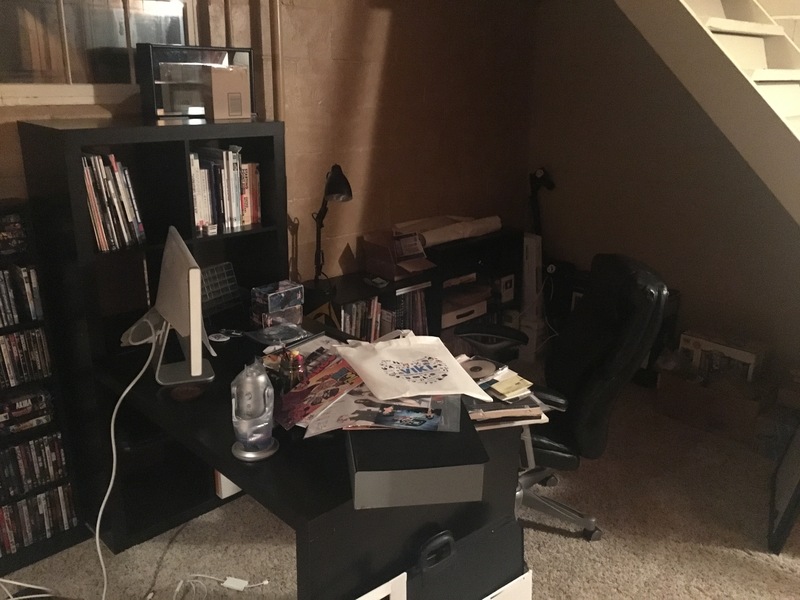 I also want to get my desk fully functional and get things put away. I do have some freelance work I need to get some time in on as well. Finally, I will be back at Nebraskon this year and I am doing a new panel that I need to get into slides. It’ll be a busy week ahead, but that keeps life interesting. Let’s do this! Whoa it’s been almost a month since I have been on here, writing updates and sharing the current state of my project Cosmic Rage. It’s been a very exciting time and there has been a ton of things going on since I last blogged. I don’t like taking long breaks from the blog but there was just a lot of life event going on and Cosmic Rage was put on hold for a bit to get things sorted out. So let’s back track a bit and get all of our bases covered! I was at Anime Fargo last month and really enjoyed the con. I had a great time talking with new people and seeing some familiar faces. I have been to Anime Fargo each of the last 3 years, which is how long the con has been running. It is always a good time to chat and catch up with people there. I met some awesome people in the Pokemon party room that were kind enough to share info about the local nests. In between events I was able to get to a nearby park that was actually a Bulbasaur nest! After Anime Fargo, I spent the time finishing up packing for the move before I left to go on a family vacation. When I am on vacation, I really like to unplug so I try not to use social media since I am typically online for over half the day anyways. It’s a nice time to relax and enjoy nature. 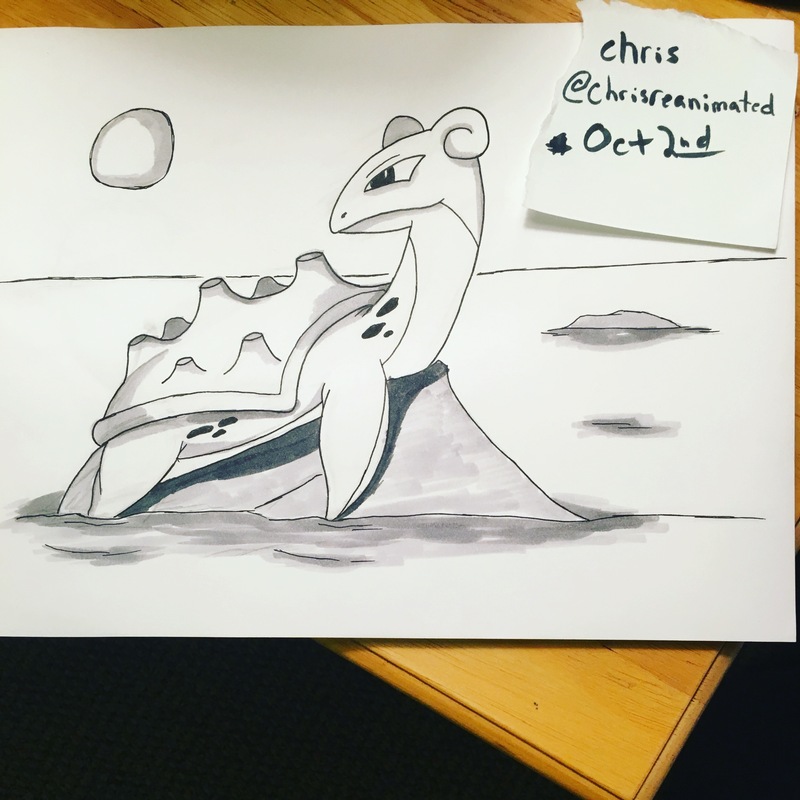 I did my first (and only so far) inktober piece on vacation as well. I was inspired by the ocean and the nearby Pokemon gyms so I drew up a Lapras. Once we were back from vacation, it was time for the move. We spent all weekend moving things from our apartment to our new house. Plus, we had to remove our community garden too. Talk about a relaxing weekend right? Yesterday the internet was hooked up so I could get back online after work and get updates posted and get back into the swing of things. So what is on deck for the upcoming week? Well, my e-book revisions are in. So I need to sit down this weekend and get those knocked out. Ideally I would like to get the book into the store over the weekend too. But I am not 100% sure how that process works since this is my first e-book. The other task at hand, I need to get my desk put back into place and get it ready to go. Things are moved into rooms, now it is just a matter of unpacking and putting things in order. I am ready to get back into Episode 2!